I'm so happy to share this with you all. 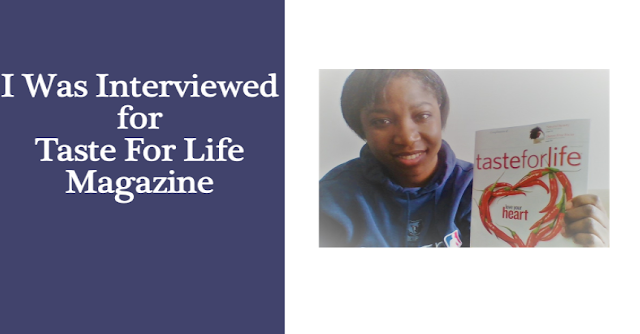 I was recently interviewed for Taste For Life magazine, the February 2017 issue. The article titled Strengthen Your Heart - Steps You Can Take Today was conducted by Albert McKeon. As many of you know, I had a heart condition called Atrial Fibrillation. Being a woman in my thirties, I wanted to live to see my forties and beyond, so I began by changing my lifestyle. I started exercising, changed my diet, learned to destress and prayed more. All of this is documented in my booklet titled Healing Is Mine. End of Discussion.